The mint madness is underway. If I could, I’d take a shillelagh and knock that “festive” flavor out of the month of March. I get it. It’s green. I love mint. I really do. I just ate Thin Mints. But they didn’t make me think of St. Patrick’s Day. So at a time when Scope traditionally symbolizes the 17th of March, I thought I’d give you another way to celebrate. Meet my Lucky in Lime Stoutcakes. Chocolate cake infused with Dublin’s own Guinness Stout. 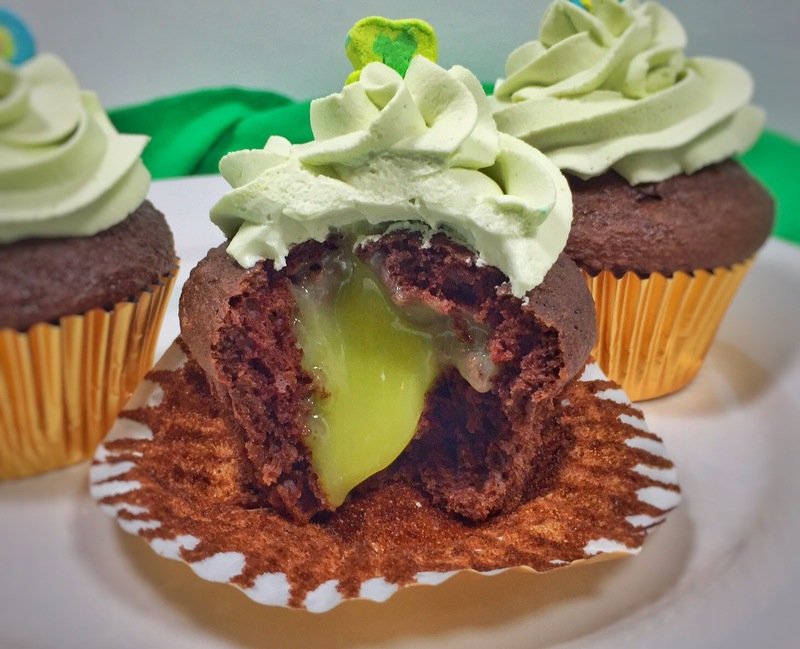 Bright green lime curd filling. 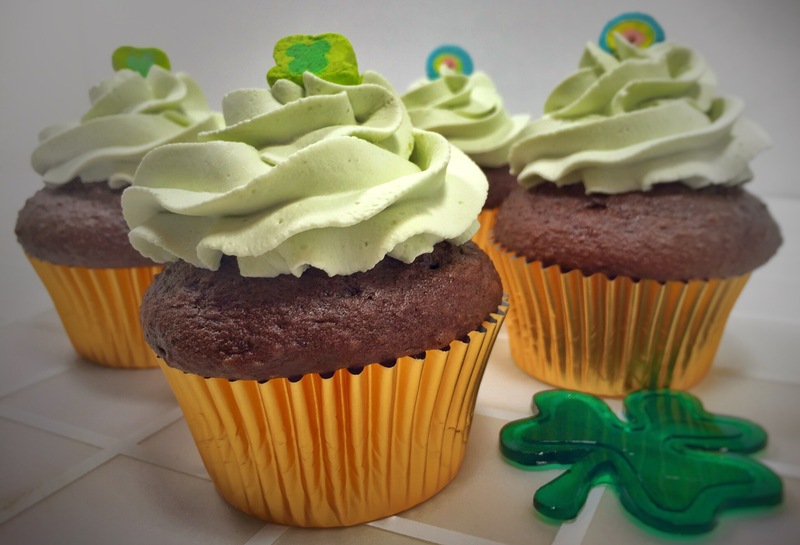 Lucky Charms-infused whipped cream.The cupcake itself is super light and airy thanks to the beer. 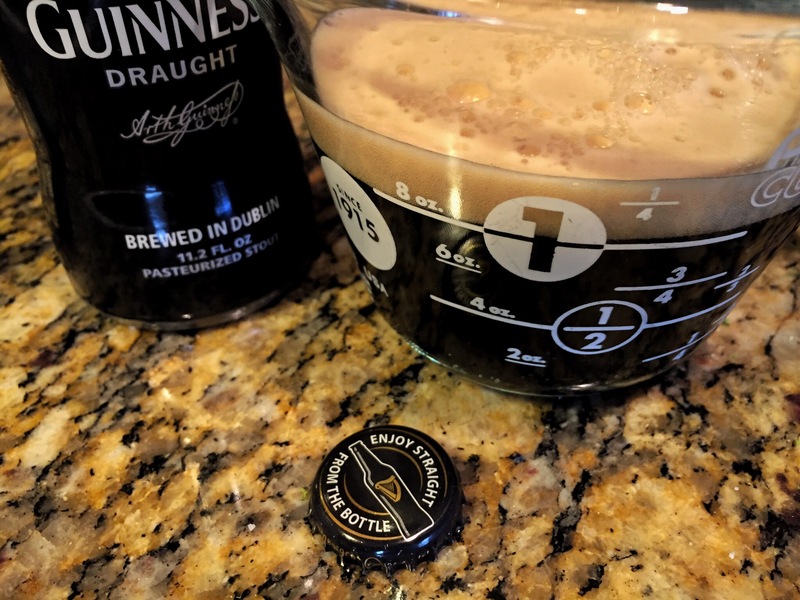 To me, Guinness tastes a bit like coffee and dark chocolate. Thats why it’s perfect here. 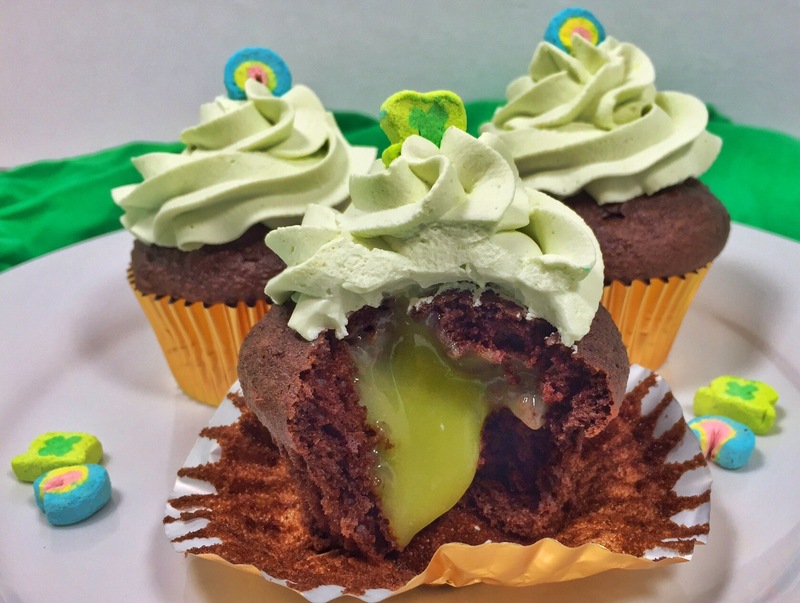 Bite into this cupcake and you’ll get a surprise that really packs a pinch. That’s not a typo. That lime curd is creamy and rich, with just enough zest to make you pucker. It’s my way of punishing your tongue for not wearing green! A fluffy finish awaits. 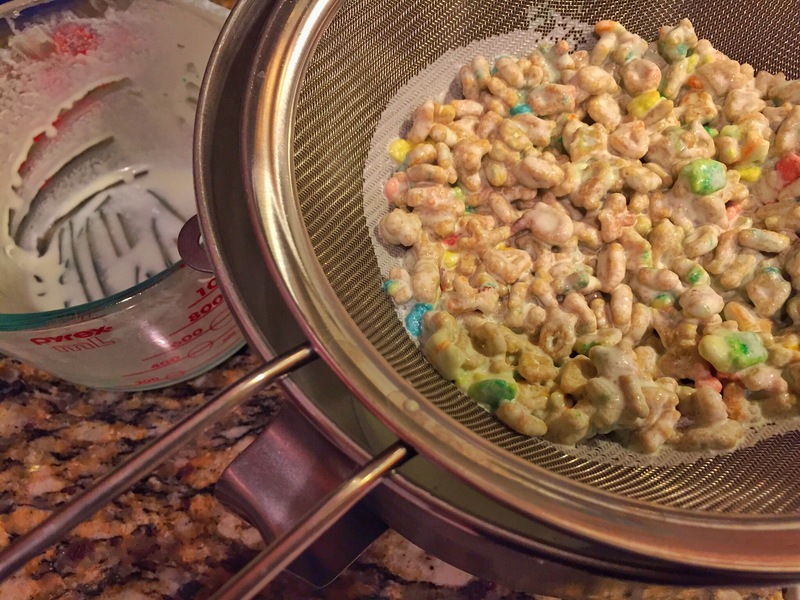 I infused heavy cream with Lucky Charms! 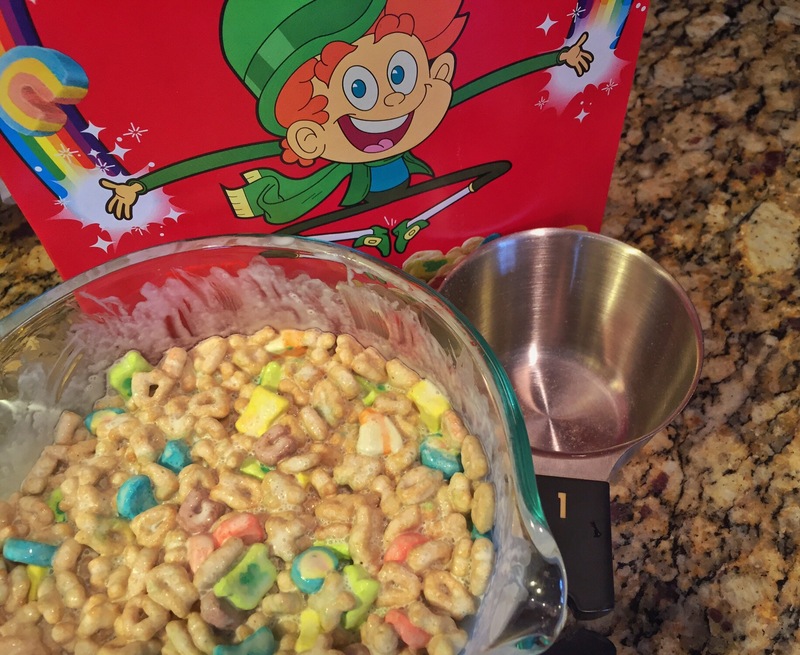 The marshmallows release enough color to turn the cream a pale green. This slightly sweet frosting will make you think of all those times you’ve taken a bowl of cereal milk to the chin to slurp up every last drop. 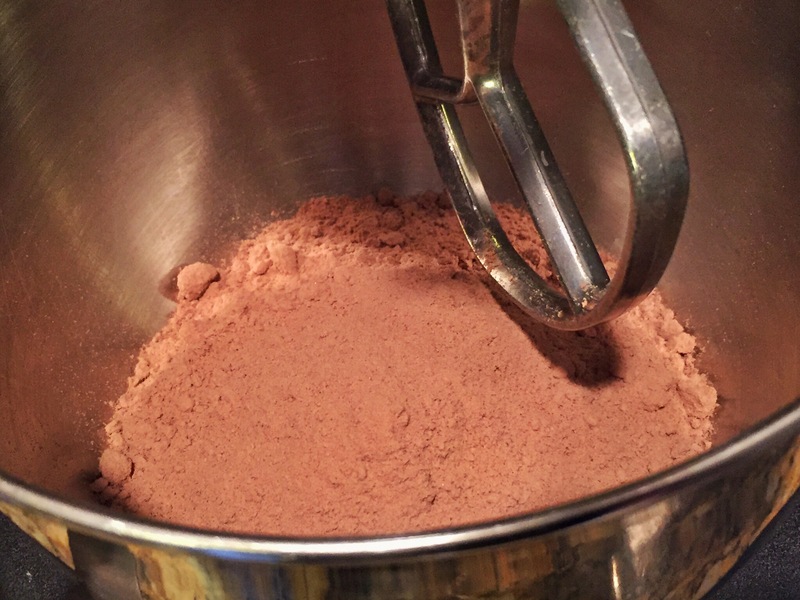 1 box of Devil’s food cake mix. A warning: The whipped cream and the lime curd take time, so plan ahead. If possible, put the bowl you’ll use for the whipped cream in the freezer and leave it there till you’re ready to whip. A cold environment makes for better whipped cream. First, combine the heavy cream and the cereal in a large measuring cup or bowl. Stir. Cover and refrigerate for overnight or 5-7 hours. Give it a stir a few times, if possible. The cereal tends to bind together to make a raft. You want to break that up. Next, make the lime curd. For a complete tutorial on making citrus curd, visit my blog on lemon curd. Use a mixer to combine the butter and sugar. Add the eggs, and mix. Add the juice, and mix. The mixture may look curdled. That’s OK.
Pour the mixture into a pot and set the heat to low. Stir until the butter melts, which will get rid of that curdled look. When the mixture is glossy and smooth, add the food coloring and stir. Put the heat to medium and stir constantly for about 15 minutes. I know. That’s a long time. It’s worth it. Pinky swear. DO NOT LET THE CURD BOIL. 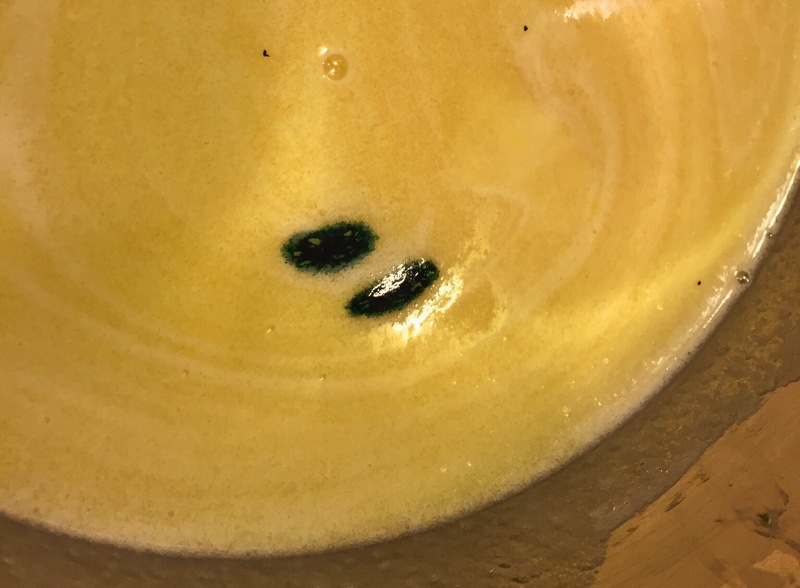 When the mixture coats the back of a spoon, it’s done. Remove the pot from the heat and stir in the zest. Pour the curd into a bowl. Place plastic wrap directly onto the curd, so it doesn’t form a skin. Refrigerate at least an hour. It’ll thicken as it cools. Now, bake the cupcakes. I used gold liners to be festive, but you can use whatever design you want. You’re really just making the cake according to the directions on the box, but you’re substituting beer for the water. You can certainly just use water if you’re anti-alcohol. And I know you’re in complete shock at the thought of boxed cake mix. I, Mister complicated, hardly ever use it. But I made lime curd from scratch and I’m infusing fresh whipped cream… Can’t a guy get a break? When the cupcakes are cool, the curd is set, and the whipped cream is properly infused, it’s go-time. Take that bowl out of the freezer and set a strainer over it. Pour the cereal and whipping cream into the strainer. The infused-cream will fall into the bowl. Throw away the mushy, soaked cereal (unless you’re into that texture. Then gobble it up.. but, yuck!). Add the 1 Tbsp. of powdered sugar to the infused cream and whip to stiff peaks. Put the lime curd into a pastry bag fitted with a metal tip that has an opening as thick as a straw. 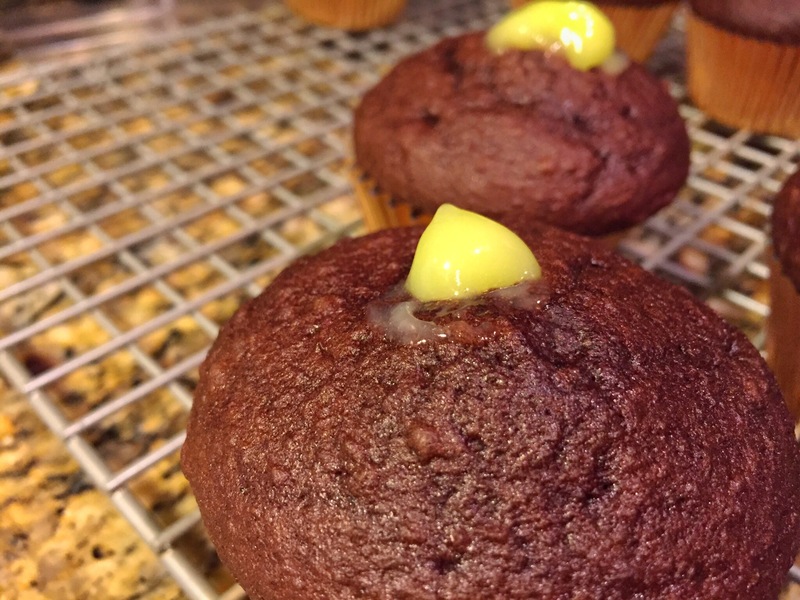 Use the handle of a spoon to poke a hole in the top of each cupcake, then insert the metal tip into the hole and squeeze the lime curd into the cupcake. Do this carefully. You don’t want a volcanic eruption. It’s just a little squeeze. In fact, some of the curd might rush out. Just wipe it off before frosting. 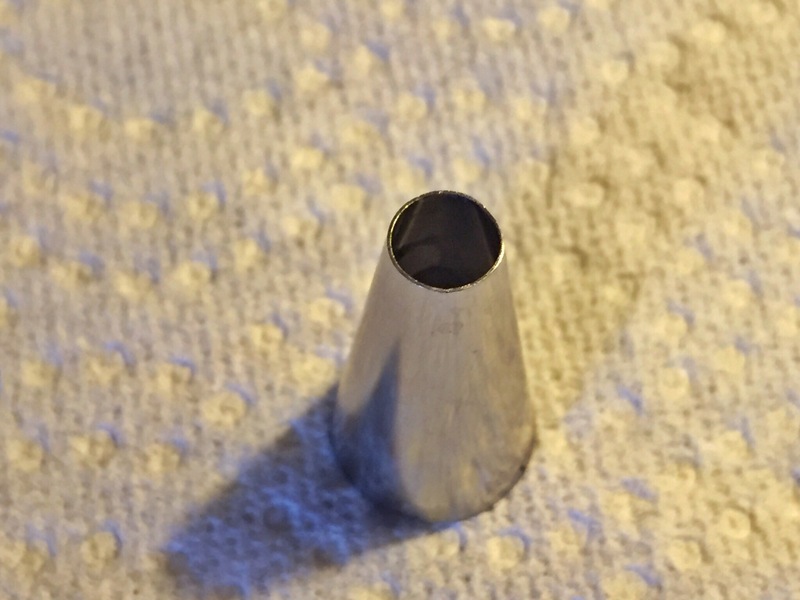 If you don’t have a pastry bag and a metal tip, just carve a cone of cake off the top with a paring knife. Put about a teaspoon of curd into the hole and cover it with the cone of cake. When all the cupcakes are filled, put a large star tip into another pastry bag and fill it with the whipped cream. 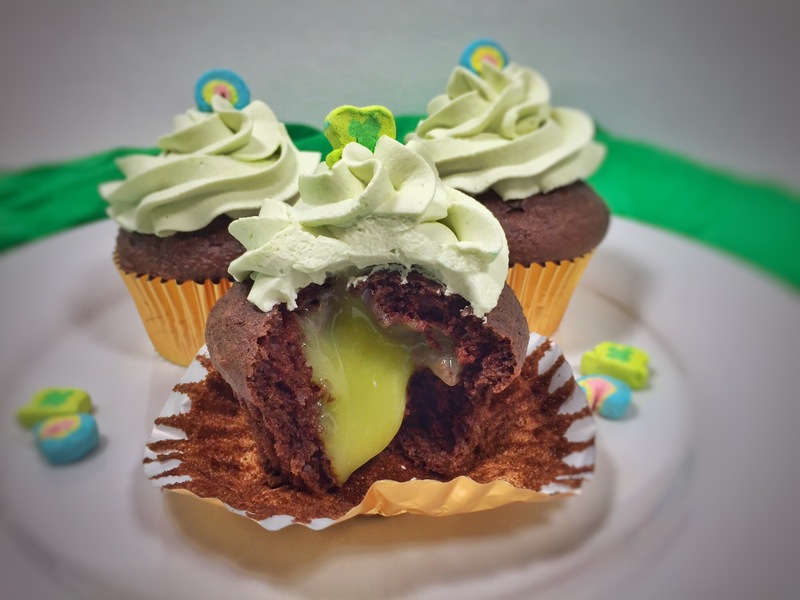 Pipe the whipped cream into the cupcakes and top each one with a St. Patty’s Day-themed marshmallow (rainbow or green hat). 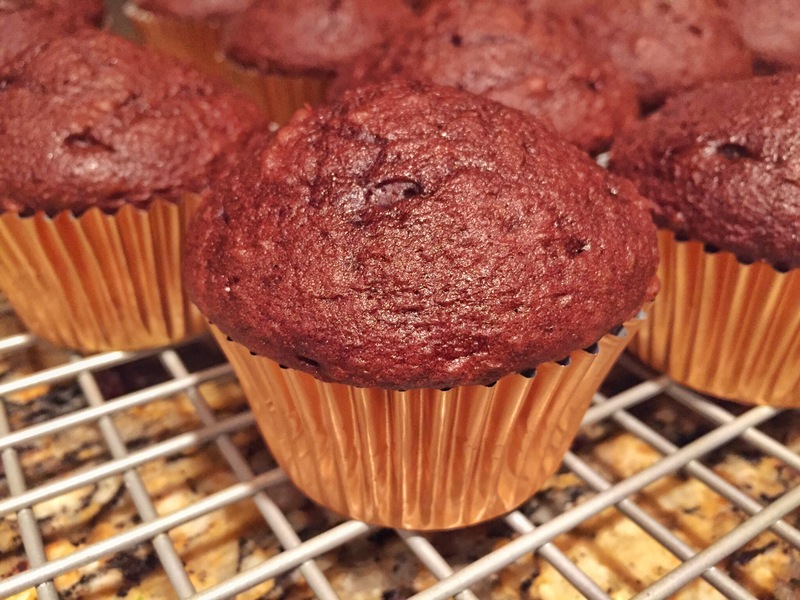 You could also use an offset spatula or a butter knife to slather the whipped cream onto the cupcakes. Keep them in the refrigerator until ready to eat! Whether you bite right into the cupcake or dig in with a fork, you’ll really feel like you’ve struck gold. I promise. 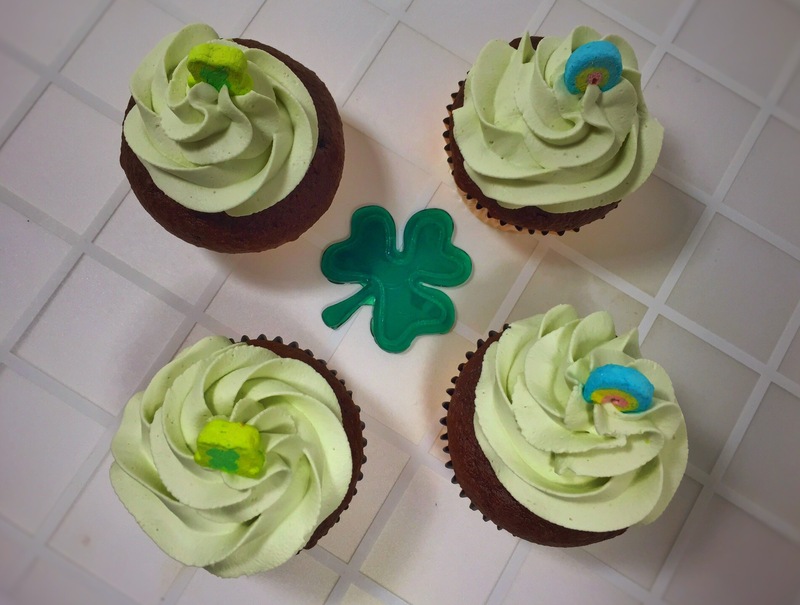 This dessert shamROCKS. Seriously. You know what? Make my Corned Beef and Cabbage Irish Nachos for dinner and cap off the night with a Lucky in Lime Stoutcake. You’ll do a jig that Michael Flatley couldn’t one-up.Save the mint for your toothbrush, OK? Tip: Double the lime curd recipe. Freeze the rest. You’ll thank me later.